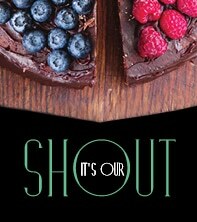 Every Thursday is FREE dessert Thursday for all our ‘It’s OUR shout’ members in the a la carte Bistro. Simply order an entree and main course to receive your FREE dessert. To be eligible for the offer 1 entrée and 1 main is required to be ordered to receive a dessert.